I was a supporter of Ron Paul’s bid for the Presidency. 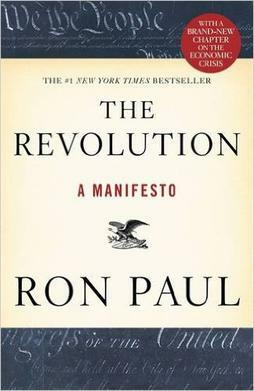 As a result, I ended up purchasing Ron Paul’s new book The Revolution: a Manifesto. Overall, I felt that this is a decent book. The only problem with it is that it doesn’t introduce many new ideas. I found this book very similar to Harry Browne’s Why Government Doesn’t Work. Both of these are good introduction into the Libertarian philosophy. I believe that The Revolution: a Manifesto is geared to a general audience. For instance, it is a good book to give to others who aren’t familiar with Libertarian ideas. Overall, I found nothing wrong with this book. On the other hand, I didn’t learn anything new from it that I didn’t already know. I the one nice thing I found about the book are the references. I noticed that I have read a lot of the books that Ron Paul recommends. Overall, I think that one can learn more from the works of Murray Rothbard, Luwig Von Mises, Friedrich Hayek, or Frédéric Bastiat. The one thing I found refreshing is that one Ron Paul is probably the only politician that regularly visits lewrockwell.com and The Mises Institute. These are sites that I also regularly visit. A while back, I read the book Code Complete, by Scott McConnell. I thoroughly enjoyed this book. Code Complete is full tips to make one a better programmer. It is written in a similar fashion as books such as The Pragmatic Programmer, Programming Pearls, or The Practice of Programming. 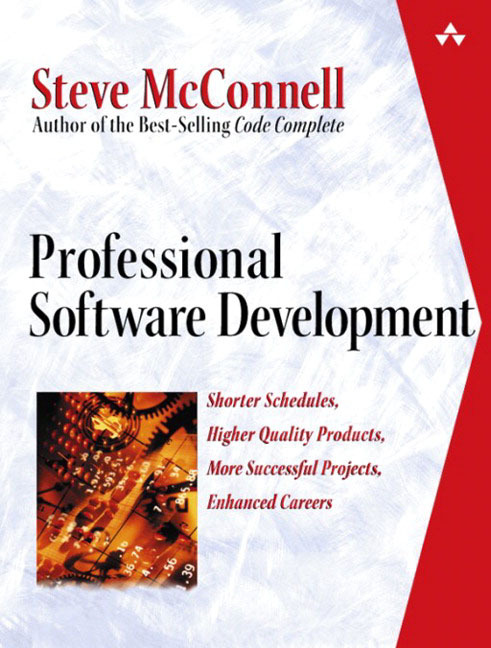 Because I enjoyed reading Code Complete, I decided to tryout another McConnell book, and I purchased the book Professional Software Development from Amazon. I think I may have passed on this book if I browsed it first. I feel that maybe half of the material in the book carries any relivance and it doesn’t really address any new topics. The basis of the book is that programmers make bad code, and standardized software engineering techniques should be used to improve software. For instance, McConnell talks about the drawback of the “Code and Fix Development” style. Where developers rush into the coding process without any planning. I wouldn’t say the book was a total waste to read, but I expected it to be better based on Code Complete. The majority of the book is about how software engineers should be licensed in a similar manner as doctors, lawyers, and accountants are today. I tend to disagree with this opinion. I think that voluntary certification would be a better way to go then to have Government issued licenses for software engineers. I don’t see what good would come out of forcing software engineers to be licensed. Overall, there is some good information in this book, so it is not a total waste of time to read. I would recommend getting a copy from a library rather than purchasing this book.